Attn. Jewelers ! 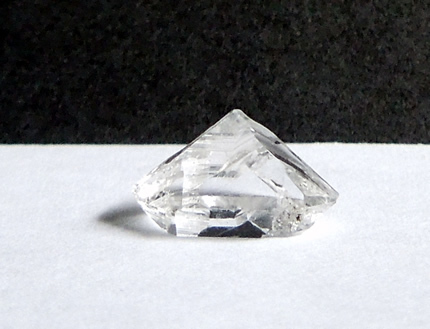 The size and shape of this keyed Herkimer crystal makes it ideal for a jewelry project. 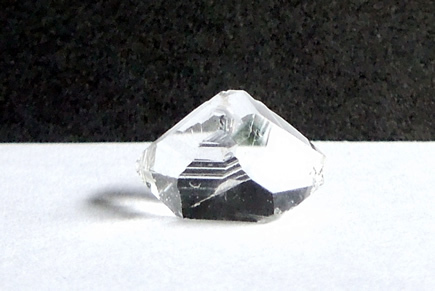 The bottom of the gem is large and flat. 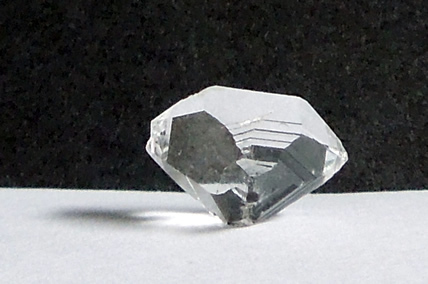 They entire top of the crystal is covered by a very geometric key. 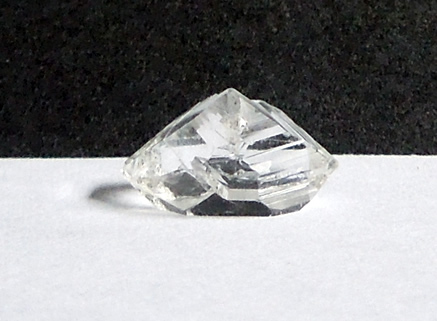 It's a double terminated Herkimer Diamond, a teeny key near one tip shows in one of the photos more dramatically than it is. 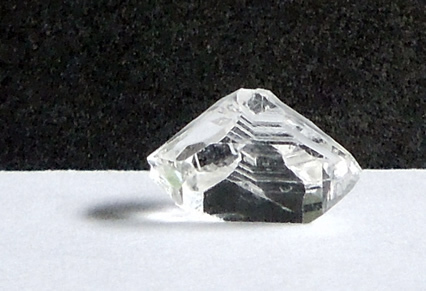 It has excellent clarity and shine. 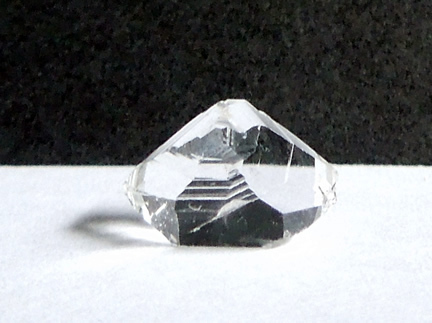 An interesting and cool keyed Herkimer crystal for collectors or jewelry makers. 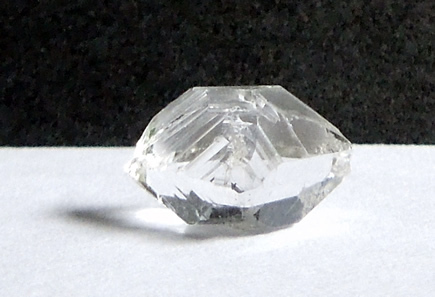 Herkimer crystal with large key and flat bottom facet.